This page will be given over to the investigation of the claims made by the Catholic Church that she is the one true church, that salvation is found in her doctrine and that she possesses the means to get men to Heaven. We will ask ourselves some serious questions. We will look at the claims, history, practise and conduct of this so-called Mother Church in order to find out if she is correct and a church to be joined with; or if she is wrong and to be shunned. Here are some testimonies from men who fully understood the teachings of Catholicism but through the written scriptures came to a real experience of forgiveness and faith in Christ. 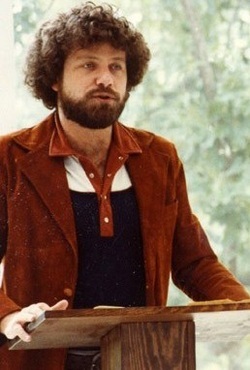 Keith Green (1953–1982) was a very gifted American contemporary music pianist, singer and songwriter originally from Brooklyn, New York. In younger days he was headed for secular fame and stardom. But God broke in upon his life in his conversion to Jesus Christ. 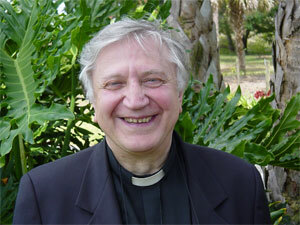 As a result he became a radical but genuine, whole-hearted Christian who sought for truth. His many passionate songs reveal his personal honesty, reality and sincerity in hating hypocrisy, compromise and man-made Christianity. At the end of the 70's and early 80's he was making a deep spiritual impact upon a whole young generation in America and across the world. Keith had many sincere Catholic friends. As he began to read about Catholic history and study its doctrines he was shocked. What he read in the Bible did not match up with what he found in Catholicism. As a result in 1980 he was compelled to write about what he had found. The following articles are the result. They are written with deep passion, thorough study but sincere honesty. In 1982 Keith died in a plane crash along with 11 close friends at the age of 29. If you are a Catholic who is seeking for truth and a satisfying relationship with God then this series of four articles are especially for you. What Did it Really Change? This vital documentary takes a close look at the present crisis which has been going on during recent decades in the Catholic Church. Many converted priests and nuns take part and tell their story in this documentary. This is an honest look at the fundamental doctrines of Catholicism.